King Solomon is remembered as the wisest man who ever lived. “I will give you a wise and discerning heart, so that there will never have been anyone like you, nor will there ever be.” (1 Kings 3:12) He was the second son of King David and Bathsheba and possessed many talents. He was a writer, a poet, an architect and a scientist. King Solomon built the first ever temple on Mount Moriah in Jerusalem and this temple was regarded as one of the wonders of the ancient world. One night, God appeared to Solomon in a dream and told him to ask for anything he wanted and promised to grant his wish. Solomon answered, “Please make me wise and teach me the difference between right and wrong. Then, I will know how to rule your people. If you don’t, there is no way I could rule this great nation of yours.” God was very pleased with Solomon for asking for wisdom, instead of a long life, riches or the downfall of his enemies, so He promised to make him wiser than any other person. Also, because Solomon didn’t ask for riches or power, God mercifully gave him these too. Finally, God told Solomon that if he was obedient and followed his commands, he would have a long life. 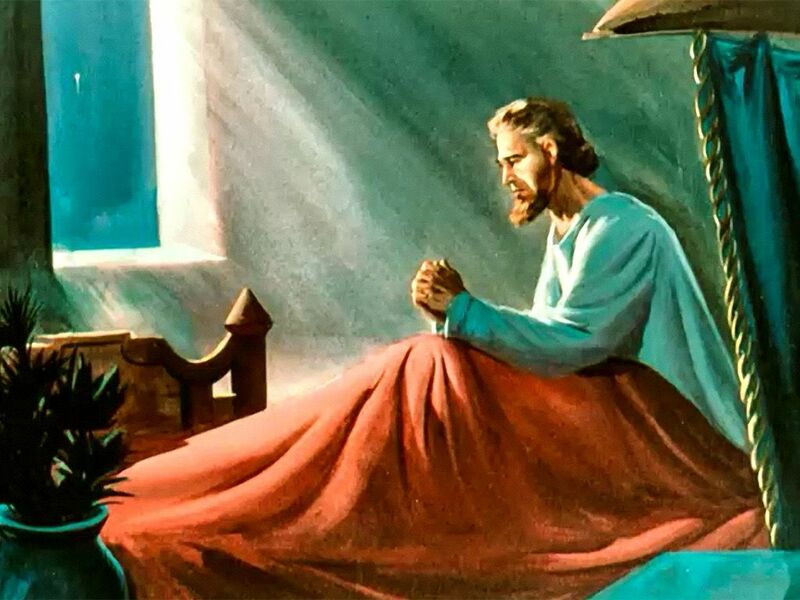 When Solomon woke up, he realised that God had really spoken to him in the dream. What does this story teach us? This story seems simple and straightforward, but there are some messages that lie deep within the story that God wishes us to be aware of even today. Firstly, we learn that if we truly wish for something that is in line with God’s will, He will definitely grant us the desires of our heart. However, in order for our prayers to be answered, we must believe that God has already given us what we have asked for – this is true faith. “Therefore I tell you, whatever you ask for in prayer, believe that you have received it, and it will be yours.” (Mark 11:24) Secondly, even though Solomon didn’t ask for riches or power, God gave him these. This was because God was very pleased with him for asking for the priceless gift of wisdom. This tells us that if we seek only to please our Heavenly Father in everything that we do, He will bless us with everything else that we need or want. “Seek the Kingdom of God above all else, and live righteously, and he will give you everything you need.” (Matthew 6:33) Thirdly, we should ask the Holy Spirit to fill us with the wisdom that we need to be able to distinguish between right and wrong in the secular world that we live in today. Without doubt, we will receive what we have asked for.